- Leadville 100mi race, someday! I qualified for Boston at the Cleveland Marathon in 2012. There were tears in my eyes for a second, but smile no one could wipe of my face for hours. I’ve accomplished many of my endurance goals and love helping others achieve theirs! Getting other runners to the finish at their goal time adds special meaning to my race too. 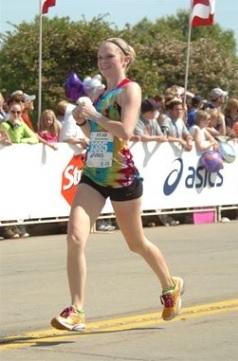 At the Columbus Marathon in 2012, I paced a close friend to finish her first marathon in 3:50. 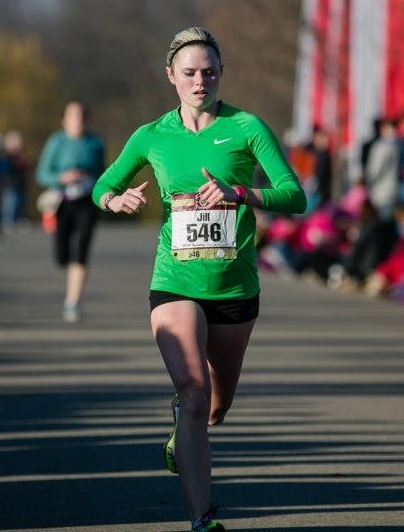 She trained really hard for it and battled many injuries during her training season, so it was so awesome to see her hard work pay off mile by mile. I was so proud of her! Be ready to have a positive marathon experience! 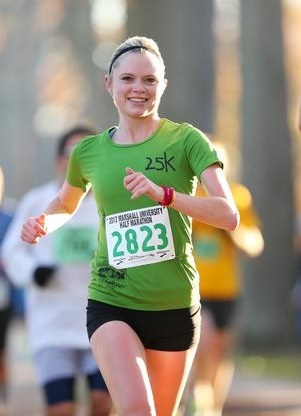 In all of my running, my most steady, “relaxed,” enjoyable long distance races have also been my fastest. I am a race director for a variety of local charity 5k’s and also a hospice volunteer. I take part in various medical mission trips annually and help out at local free health clinics.